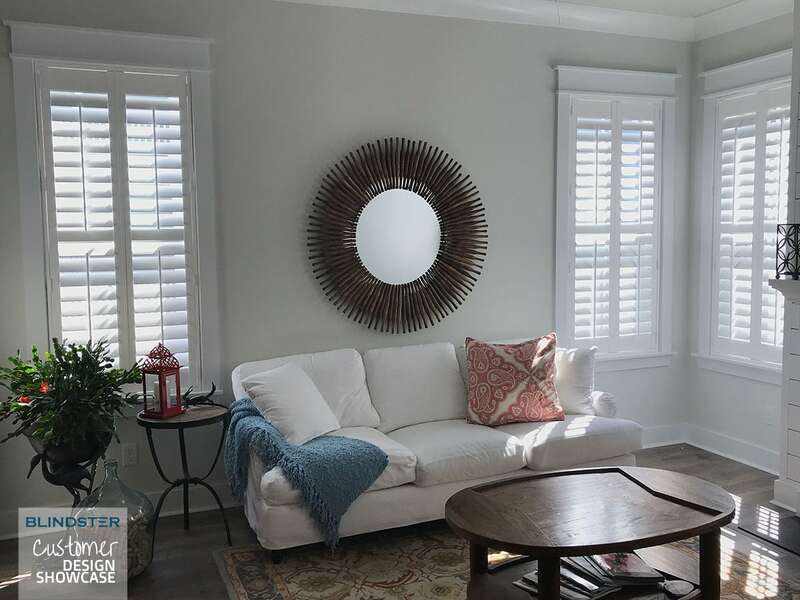 Almost everyone is familiar with the differences between shades and blinds, but beyond that, the world of window coverings may be a bit of a mystery for many homeowners. While being able to name the individual components of shades and blinds isn’t something most people set out to learn, it is knowledge that comes in handy when ordering new window coverings or determining which type of window coverings work best in your home. Shades that are designated as blackout shades provide maximum privacy and sunlight/glare reduction. These shades are ideal for bedrooms, home offices, and home theaters where privacy and light control are most vital. Blinds have both a headrail and a bottom rail. The bottom rail is weighted and secures the cords that allow the blind to be raised and lowered. Bottom rails are made from materials like wood, faux wood, and aluminum depending on the styling of the blinds. This term describes shades that are capable of being raised or lowered from both the top and bottom. These shades are highly versatile and allow homeowners to raise the bottom of the shade for a traditional appearance or lower the top to let in light while maintaining their privacy. This term describes an option for shades which are operated using a cord loop—often a metallic or beaded chain—that allows for smooth raising and lowering of the shades. Continuous cord loop options are popular options for large and heavy shades, as the raising and lowering mechanism makes it much easier to change the height of these shades. Cord cleats are one of the most important components that all homeowners should install with their blinds or shades. These small brackets attach to the wall near the headrail and provide room to secure the lift cord, placing it safely out of the reach of small children and animals. Cord cleats are essential for all homeowners with pets or small children, as they dramatically reduce the risk of strangulation or other injuries. Many shades and blinds can operated without cords by simply pulling on the bottom and allowing the window covering to reach the desired height. In addition to being incredibly simple and easy to operate, this option is also safe for small children and pets and provides a sleeker appearance due to the lack of a lift cord. Blinds and shades that are considered eco-friendly generally include window coverings that are manufactured using natural materials and window coverings that help insulate homes and reduce energy costs. These optional components provide extra clearance for shades and blinds that are installed outside of window frames. Extension brackets are typically used when window coverings must extend over or beyond window sills. When a blind or shade is mounted inside a window frame and no parts of the headrail protrude out, the installation is considered a flush mount. These mounts provide a sleek and built-in appearance for windows while also maximizing light control. The headrail is the long encasement that extends the full length of a shade or blind and houses all of the mechanical components used to lift or lower the window covering. Headrails can be mounted either directly inside the window frame for inside mounts or on the wall or ceiling adjacent to a window for outside mounts. Hold down brackets are optional components that hold shades or blinds in place and prevent them from moving or swaying. These components are ideal when window coverings are installed on or near frequently opened windows and doors. 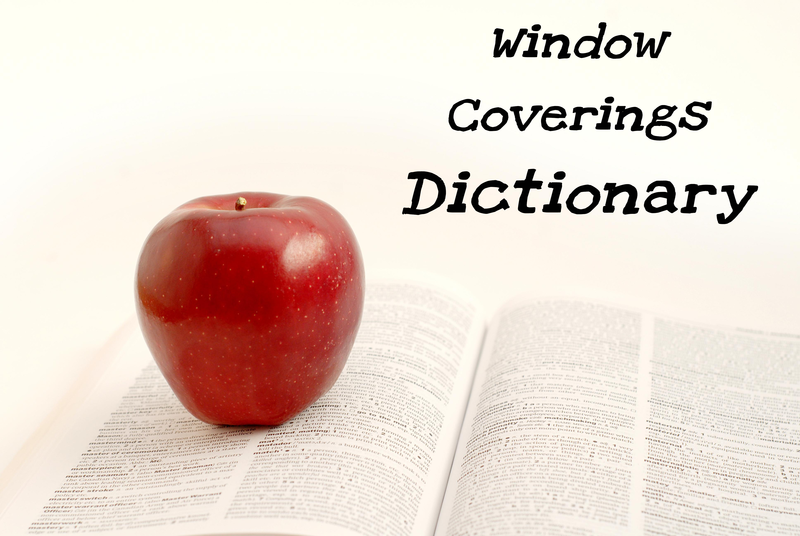 The most common method of mounting window coverings, inside mounts refer to installations that are flush with the inner part of a window frame. Inside mounts provide a sleek and built-in appearance to blinds and shades while also reducing light leakage. In addition, inside mounts also preserve the appearance of details on window frames. Lift cords are used to raise and lower blinds. The vast majority of blinds feature lift cords on the right side, but certain types of blinds offer the option of installing lift cords on the left side for easier access. Lift cords should always be placed out of reach using a cord cleat in homes with small children and pets. A less common option for mounting window coverings, outside mounts refer to installations that are completely outside of the window frame with the headrail mounted on the wall or ceiling. Outside mounts are ideal solutions for windows with extremely shallow window frames or for homeowners who wish to cover unattractive windows and window frames. Because this option is susceptible to light leaks, Blindster recommends adding additional width (around 3” total) to orders. Route holes are small holes in the slats of horizontal blinds that provide spaces to attach the lift cords. Although route holes don’t allow significant amounts of light into rooms, many homeowners prefer their blinds to be completely solid and provide as much privacy as possible. Instead of using route holes, routeless blinds use small notches for attaching the lift cords. Valances are decorative pieces that cover the headrails on blinds and shades. These components vary from standard pieces to decorative pieces that can provide a more luxurious appearance to window coverings. A wand is a long cylindrical object found on blinds that controls the orientation of the slats. These components are typically made of plastic or wood and allow for easy operation of the slats to maximize control of lighting and privacy. Wands can be placed on either the left or right side of most blinds.